I am about to be left in charge of the office. I'm not sure I'm ready for the responsibility, so I double-check with my boss. He reassures me. "You'll be fine, Marianne. As long as no one kills Amanullah Khan, you'll be fine." Marianne Elliot is a human rights lawyer stationed with the UN in Herat when the unthinkable happens: a tribal leader is assassinated, and she must defuse the situation before it leads to widespread bloodshed. And this is just the beginning of the story in Afghanistan. 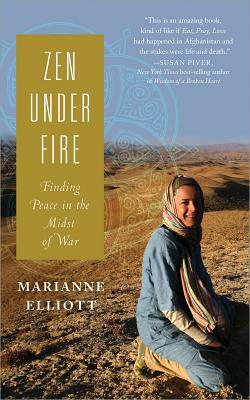 Zen Under Fire lays bare the struggles of a war-torn region from a uniquely personal perspective. Honest and vivid, her story reveals the shattering effect that the high-stress environment has on Marianne and her relationships. Redefining the question of what it really means to do good in a country that is under siege from within, Zen Under Fire is an honest, moving, at times terrifying true story of a women's experience at peacekeeping in one of the most dangerous places on Earth.